Ludwig II's coronation portrait, 1865. Ludwig II was born in Bavaria in 1845. Although his castles have become some of Germany's most famous landmarks, Ludwig would have considered himself Bavarian first and foremost. He reigned during the period just prior to German unification when Bavaria was an independent kingdom in it's own right. During this time there were many small principalities that were self-governed, although they often had strong ties with each other both legally (through treaties) and culturally (language, and customs). The mid to late 19th century was a time of rising nationalism in Europe, and the period when the modern concept of "nation states" was formed. Thus, the situation in Germany was very similar to that of Italy. Both regions consisted of many small but fiercely independent kingdoms (or city states, principalities, etc) which were unified into a singular nation by the end of the 19th century. This is one important aspect of history which had an impact on Ludwig's life. And, perhaps, his death. 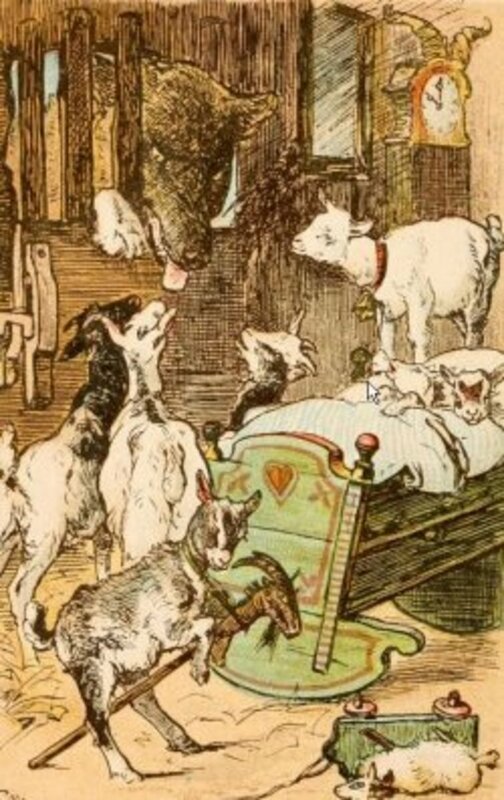 Ludwig is described as having been a dreamy child who enjoyed fantasy and the arts. His love of make believe, music, and art would thrive throughout his life. Like many royals, Ludwig's relationship with his parents was strained. He was given a rigorous education, and to some degree his whims were indulged. Yet, at the same time his upbringing was rigid and tightly controlled. His father, Maximilian II, was detached from his son. Maximilian desired that his son develop a strong sense of duty. Despite being a prince, Ludwig received regular beatings presumably at the command of his father. The official website for Schwangau, the region in Bavaria where Ludwig was raised, states that he was likely "miserable as a child." If so, this is likely why young Ludwig absorbed himself in his fantasy worlds as an escape from the realities of life - something he would continue to do throughout his adulthood. Castle Ruhmeshalle, built by Ludwig I, in the neo-Classical style. The statue "Bavaria" is in the foreground. King Ludwig I in 1825. He was known for his "shabby" appearance. 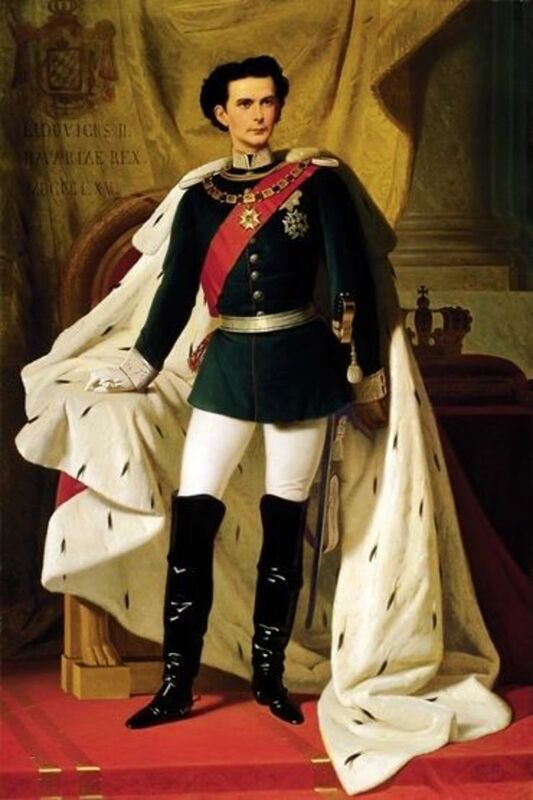 Ludwig II inherited a love for the arts, history, and myth from his father and grandfather, Maximilian II and Ludwig I. Both leaders faced serious challenges during their reigns. For instance, Ludwig I was the crown prince during the Napoleonic Wars. Ludwig I was responsible for restoring Medieval monasteries that had been previously shut down. He was also very interested in Greco-Roman antiquity and favored the neo-classical style of architecture. 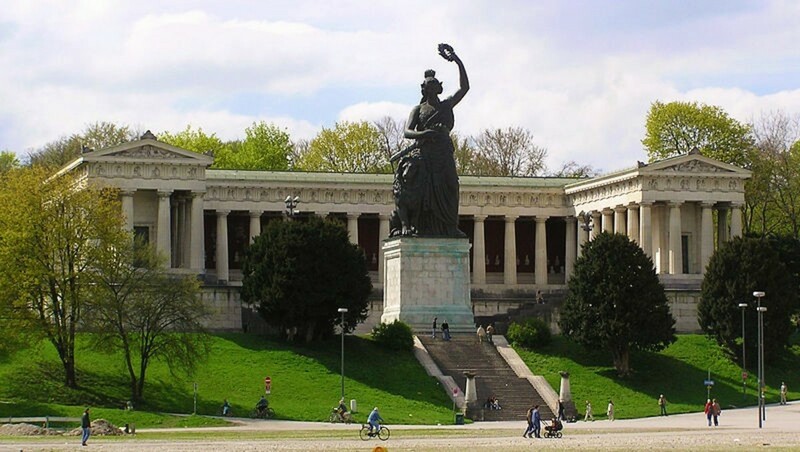 He built many buildings in this style, such as Ruhmeshalle Castle, graced by the elegant statue "Bavaria." Ludwig I also possessed a great appreciation for the arts. Over the course of his life, Ludwig I developed a reputation as a bit of a womanizer. He is as much remembered for his many mistresses as he is for his building and appreciation of the arts. Ludwig I was also known to often appear slightly disheveled and was sometimes described as "shabby" in appearance. 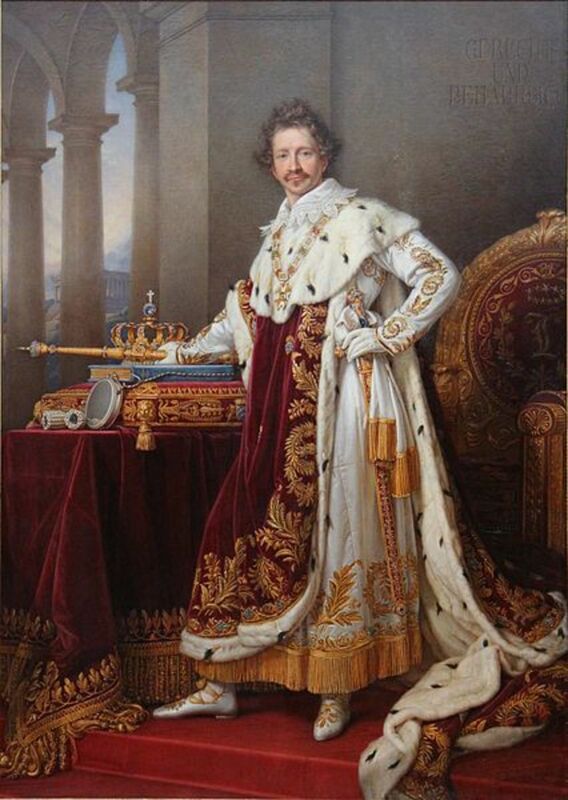 Due to political and social unrest, Ludwig I was forced to give up the powers of absolute monarchy and adopt a constitutional monarchy. Ludwig I was unable to accept this, and so he abdicated his throne in 1848. His son, Maximilian II, Ludwig II's father, became King of Bavaria. Maximilian II also believed in the absolutism of monarchy. Despite constitutional restraints, he ruled in that vein. Despite being a strong ruler, and very pragmatically minded, Maximilian II, like his father, had a soft spot for the arts and also had a penchant for building. Unlike his father, Maximilian preferred the Gothic revival style, more influenced by medieval architecture than classical. 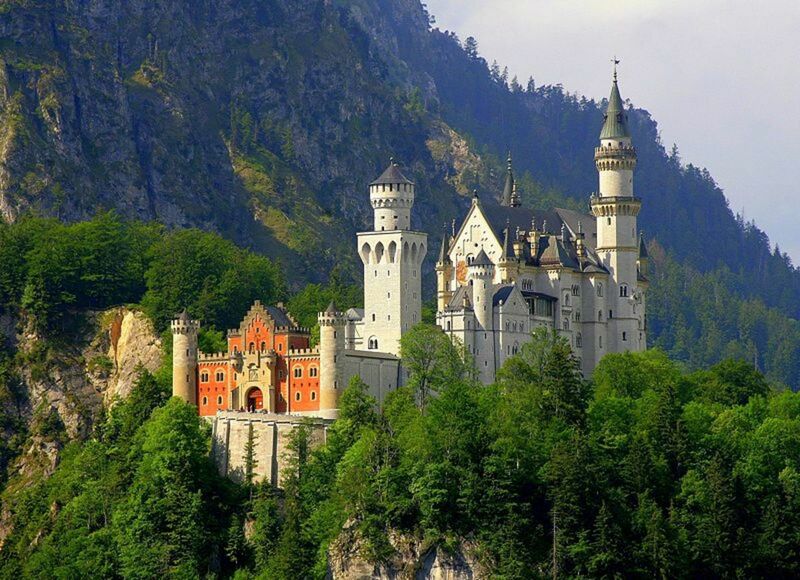 He built the beautiful Hohenschwangau castle in this style. Maximilian II was also a great patron of the arts. He played host to the great artists and writers of the period. One person of note is Hans Christian Andersen. The two were on good enough terms that Andersen referred to the monarch as "King Max." 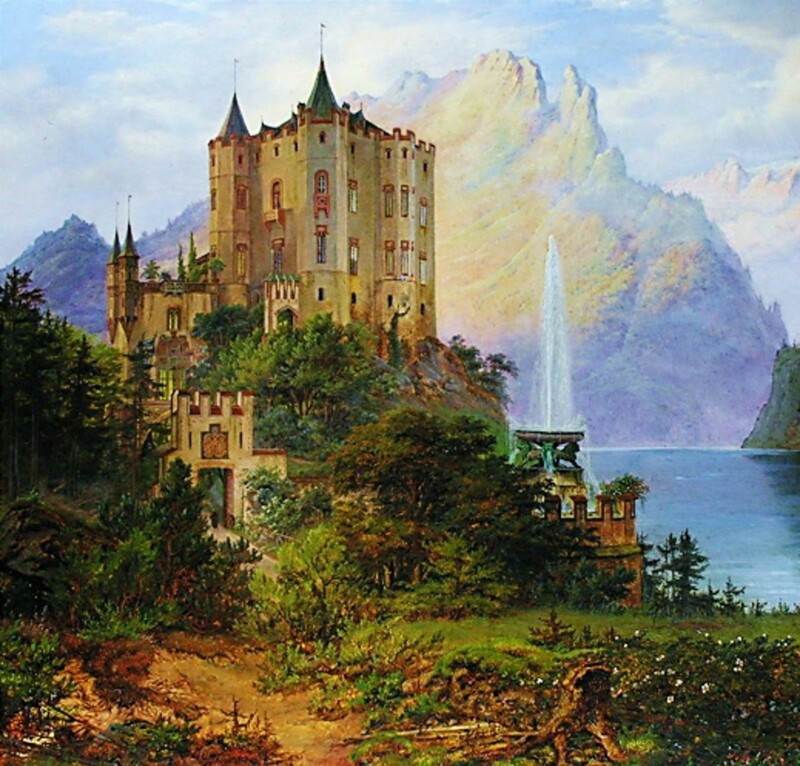 Andersen was a guest at both Castle Starnberg and Hohenschwangau Castle. Although Maximilian was considered a highly intelligent man, both of his two sons would eventually be declared insane. Meanwhile, the era was seeing the rise of European nationalism. This nationalism encouraged much of Northern Europe to embrace their histories and folkloric traditions as many of them had been eschewed in favor of the mythology of classical antiquity of the Mediterranean for so many years. 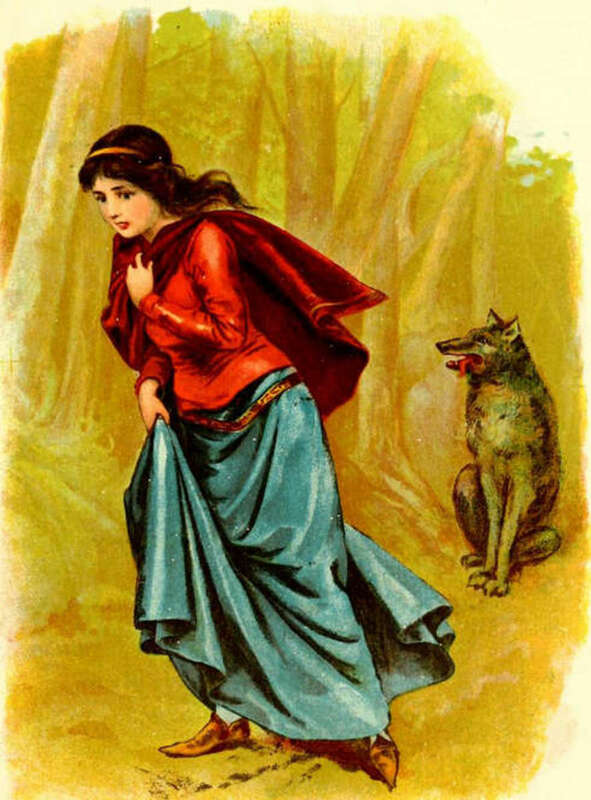 Folklore, as a discipline, was established in the 19th century by early pioneers such as the Grimm brothers. This growing interest in local heritage inspired artists, writers, and musicians to explore lore and legends of their own heritage instead of focusing solely on Greco-Roman and Judeo-Christian myth. Ludwig II was very inspired by this movement, and many of his castles were decorated with scenes from Germanic legend. He also struck up a long lasting friendship with the composer Richard Wagner, who's famous musical opera cycle "The Ring of the Nibelung" was inspired by the Medieval German legend "The Nibelungenlied." 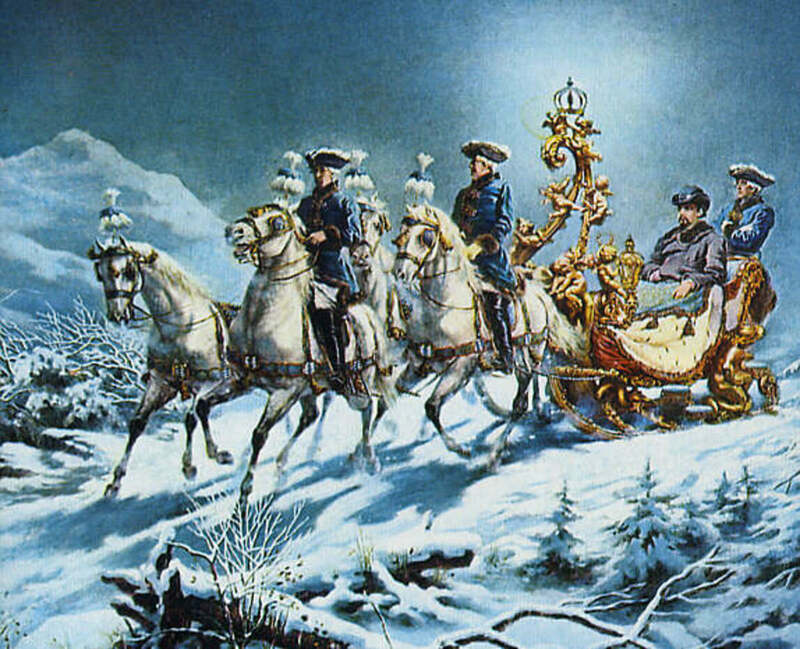 Ludwig II on a night-time sleigh ride. Painting by R. Wenig. 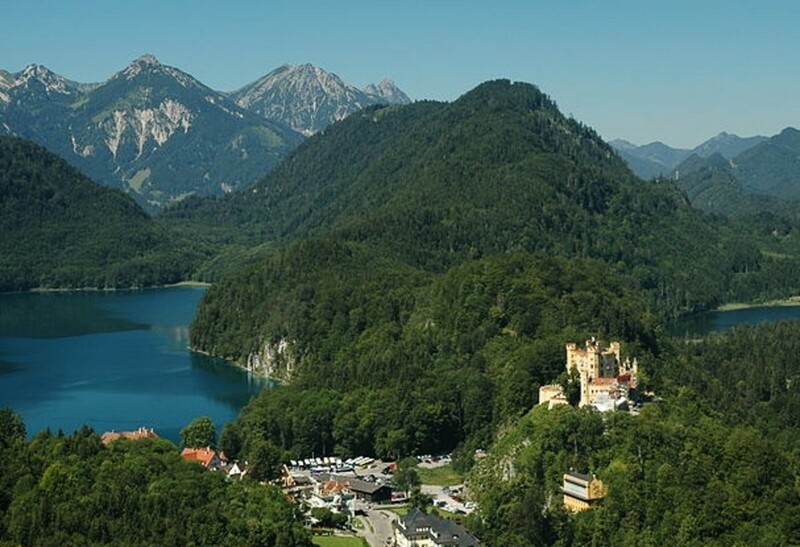 In Germany, King Ludwig II is affectionately referred to as "Maerchenkoenig," or the Fairy Tale King, due to his love of mythology and for the beautiful castles that he left behind. Ludwig I and Maximilian II instilled in Ludwig II a strong belief in absolute monarchy. All three kings were frustrated by limitations imposed upon them. It is thought that Ludwig II retreated into a fantasy land that he built up around him as a way to shut out the outside world and live his life the way he imagined it to be. Even into adulthood, Ludwig II enjoyed dressing in costume to enact his fantastical flights of whimsy. For instance, he is said to have worn the historical garb of previous kings, those who dressed with more grandeur than the modern suits and military uniform of 19th century kings. With the aid of the best designers and engineers, Ludwig II built coaches and sleighs of the most luxurious style. Dressing in costume, his servants took him for nighttime rides. The King loved the solitude and beauty of the night in winter. An 1890s photochrom print of Schloss Neuschwanstein. European Nationalism also encouraged the unification of Germany and Italy, which had hither to been separate small independent kingdoms. The movement to unify Germany, unfortunately may have contributed to Ludwig's demise. Ludwig II refused to address the politics surrounding him and his country. He also refused to listen to financial advisers about the money he was spending. Instead, he preferred to isolate himself, inviting in only people who indulged his fantasies. The King was seen as a roadblock in the way of unification. He was a proud Bavarian and not keen about seeing his country dissolve into a larger nation. Rumors of his madness may have been a political ploy in order to sway public opinion against him. 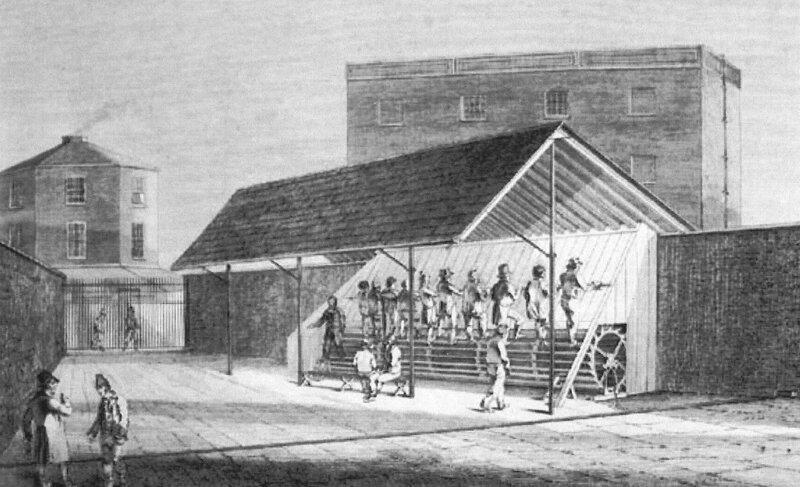 While government officials of his own country and others discussed real world events, Ludwig II hid in the elaborate playgrounds he built for himself. Not only were his castles stunning on the outside, they were richly decorated inside. The best artists painted detailed mythic murals on his walls. Ludwig sometimes called in theatrical stage designers rather than architects to ensure that his surroundings had that magical twinkle of imagination. 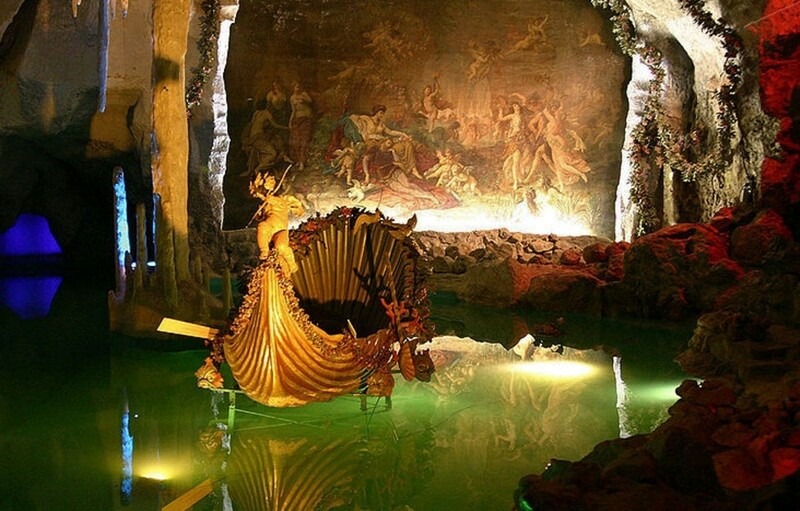 Among his fantasy hide-a-ways are an underground cavern, called the Venus Grotto, with it's own miniature lake. The place was dimly lit to give an air of romance as Ludwig was rowed leisurely in his beautiful swan boat. Utilizing the latest technology of the day, the Venus Grotto was illuminated with color changing light, giving the feeling of being transported to a magical realm. Ludwig II also fashioned a "winter garden" to the rooftop of the family's residence in the Bavarian capital in Munich. A winter garden is a greenhouse or conservatory designed for leisure. They sometimes feature stained glass windows, exotic plants, and sometimes even animals such as birds or butterflies. Although they started as a way to grow plants during the winter, these greenhouses developed into an extension of the houses of the rich who built them, and could be quite opulent. Ludwig's was no exception. 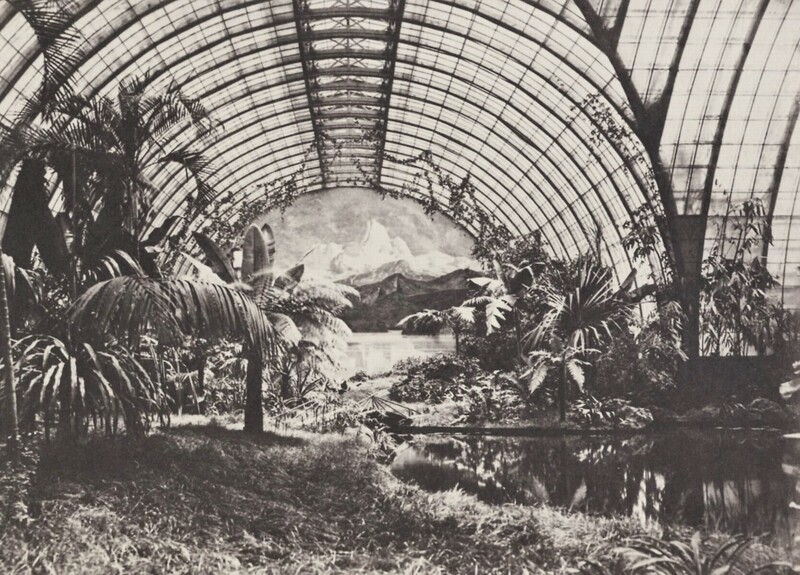 His winter garden featured high ceilings constructed of the very best technology at the time, an artificial lake, housed a large tent, an Asian themed kiosk, large panorama mural of the Himalayas, and an Indian bamboo hut. All of this was constructed on the roof of the Residenz Palace in Munich. Ludwig II's Winter Garden, on the roof of the family's Munich residence. 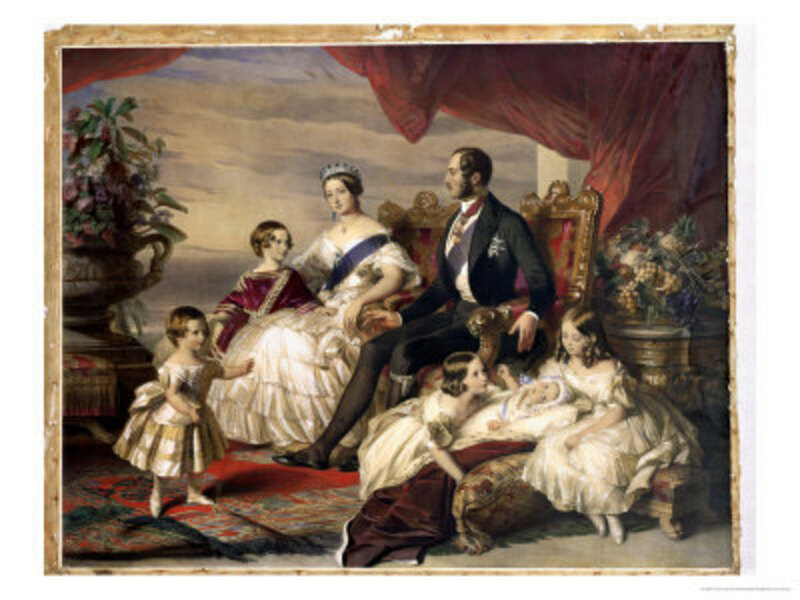 The story of King Ludwig II ends in tragedy. Factions seeking to depose him formed conspiracy leagues against him. Eventually, the government declared him insane on the testimony of a doctor who had examined Ludwig. Although he was urged to escape for his own safety, Ludwig hesitated. He was also urged to appear to the people in Munich and gain their support. Again, he hesitated. While peasants had initially rallied for their king, they had been dispersed by police and over time the support waned. By the time Ludwig did attempt an escape, it was too late. He was captured and carried away in a carriage by the conspirators, who were now running the government. Ludwig was taken to Berg Castle, which sits beside Lake Starnberg. Although he was not free to leave, he was free to roam the grounds. On June 13, 1886, Ludwig asked the same doctor who delcared him insane to go for a walk with him. The two men aparently went alone, unaccompanied by servants. By 11:30pm that evening, the bodies of both men were found dead in shallow water. There is much mystery concerning these deaths. The doctor was found with strangulation marks and blows to the head. This was attributed to Ludwig, but there is no evidence to prove it was Ludwig who strangled him. 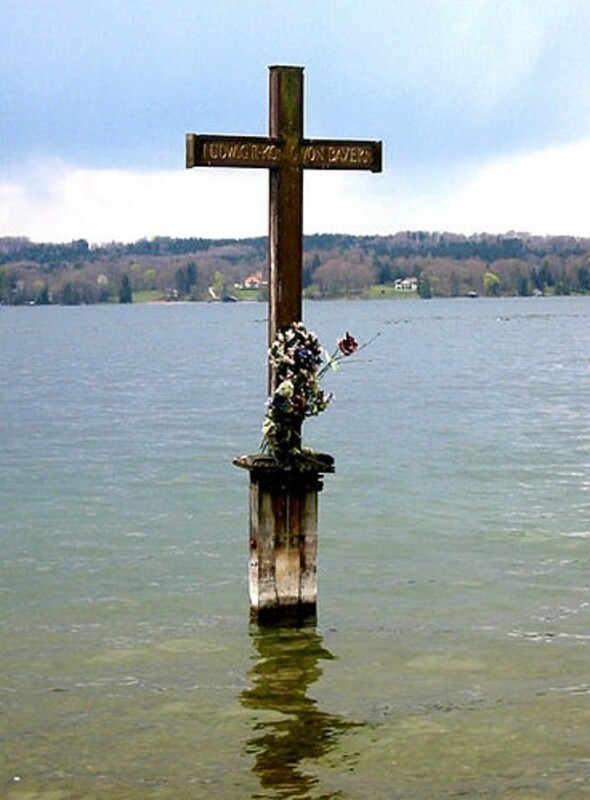 Ludwig's death, meanwhile, was declared a suicide by drowning. But, no water was found in his lungs during the autopsy. Conspiracy theories abound that both men were murdered in an assassination and cover up. Today, having been unified, split in two, and then glued back together again, Germany counts Ludwig's castles in Bavaria among its most valued cultural treasures. 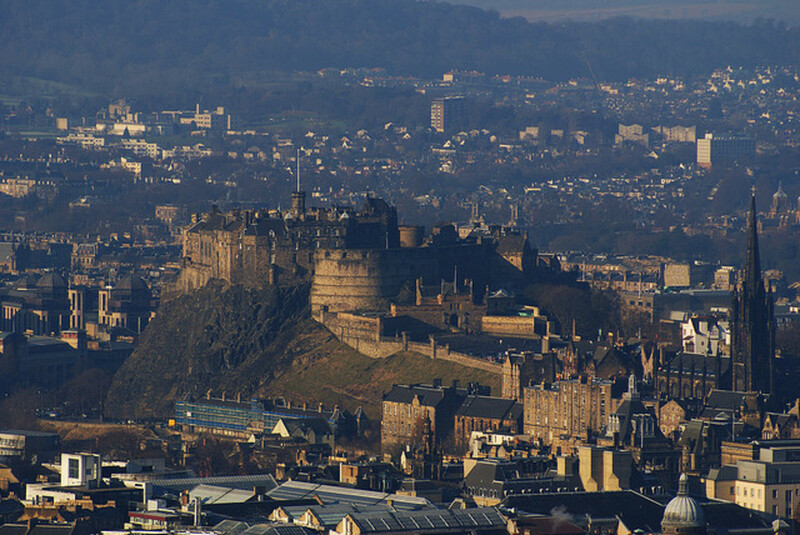 Tourists come from all around the world to tour his fairy tale castles. 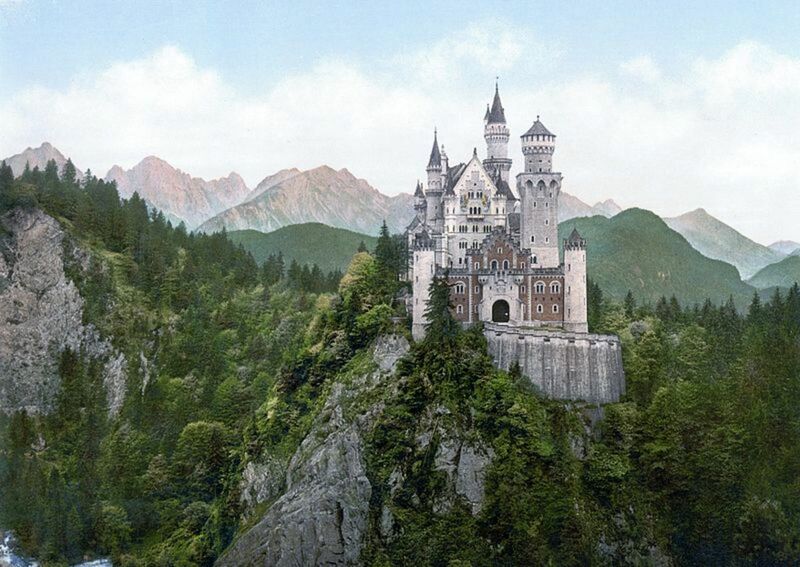 Ludwig's most famous castle, Neuschwanstein, was the inspiration for Walt Disney's castle in Disneyland. Because so much propaganda was spread about Ludwig, it is hard to know what is true. Because of his interests and passions, we can tell that he was a highly fanciful person with, perhaps, his head a little too high in the clouds to see what was going on around him. Perhaps his father and grandfather's frustrations with the changing state of monarchy influenced Ludwig to hide from a world that was changing and retreat into reconstructed fantasies of the past, of times when kings were celebrated. It is also said that Ludwig was homosexual. Perhaps stigma associated with that also encouraged him to hide from the world. We may never know the condition of Ludwig's mental state, or the circumstances of this death. But, all these years later, we gaze at his creations in awe and wonder. Though he was mocked in life for his spending that was seen as irresponsible, King Ludwig II lives on through his beautiful fairy tale castles which are a source of pride for every German today. Please like my writer's page on Facebook to be updated on future articles. Also, see more articles on my website. Fascinating - looking at the castles, it seems that he and his forebears were the inspiration for the visual impression of fairytale land for many generations of children - quite a powerful legacy. A sad tale though - I imagine he would have been much happier if he hadn't been born to be king but could have satisfied his love for the fanciful some other way - an actor or a costume designer maybe? Your chronicle is a pleasant read. I enjoyed the sequence of photographs you chose; and pertinent subtitles throughout; they are an aid to me, someone who knows very little about Ludwig. Thank you for composing this hub. Lauren, that is really interesting! I didn't come across that in my reading, but if so, that would really re-write the history! Visited Neuchwanstein and Hohenschwangau several years ago. Absolutely beautiful.......during conversation with locals, we learned that many Bavarians believe "Mad King Ludwig" was not mad at all, but that he built his castles as a way to provide employment to his subjects, during a time of depression. This is a very interesting hub. I enjoyed learning about King Ludwig and his fantasy world. 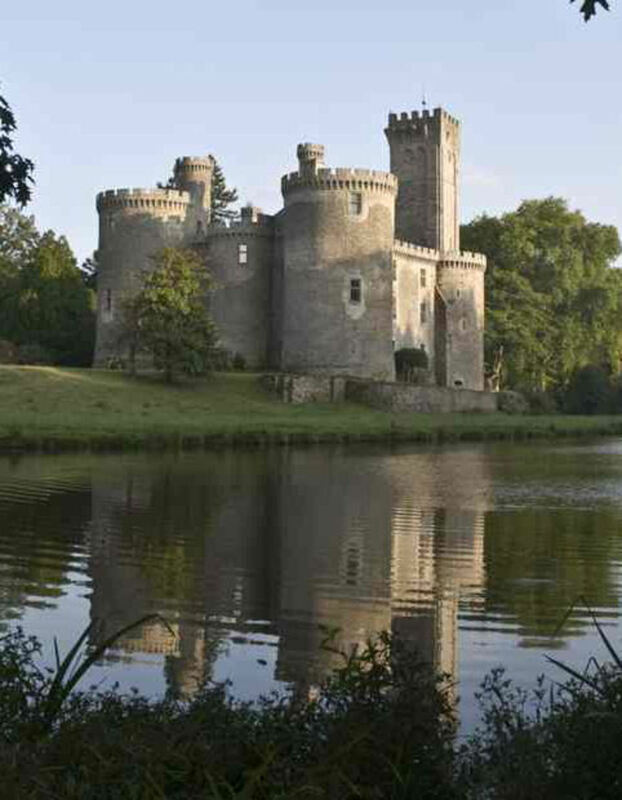 I would love to see and explore his castles! Wonderful history and very interesting, Carolyn. Excellent hub on such an eccentric man. I'd love to go to Germany one day and see Ludwig's castles for myself. Voted up and more, plus pinning to my World History and Culture board. Love the illustrations. We learned about Mad King Ludwig in my high school German class many years ago.